1. Лавров О.В., Пятин В.Ф., Широлапов И.В. Адаптационные изменения показателей кардиоваскулярной системы и сывороточных уровней ряда гормонов в условиях экзаменационного стресса // Казанский медицинский журнал. – 2012. – Т. 93, № 3. – С. 461-464. Lavrov O.V., Pyatin V.F., Shirolapov I.V. Adaptatsionnye izmeneniya pokazateley kardiovaskulyarnoy sistemy i syvorotochnykh urovney ryada gormonov v usloviyakh ekzamenatsionnogo stressa [Adaptive changes of the indices of the cardiovascular system and serum content of a number of hormones under examination stress condition]. Kazanskiy meditsinskiy zhurnal – Kazan Medical Journal, 2012, vol. 93, no. 3, pp. 461-464. 2. Лавров О.В., Широлапов И.В., Пятин В.Ф. Острый экзаменационный стресс: иммуносупрессия или иммуностимуляция? // Медицинская иммунология. – 2011. – Т. 13, № 4-5. – С. 470-471. Lavrov O.V., Shirolapov I.V., Pyatin V.F. Ostryy ekzamenatsionnyy stress: immunosupressiya ili immunostimulyatsiya? [Acute examination stress: immunosuppresion or immunostimulation?]. Meditsinskaya immunologiya – Medical Immunology, 2011, vol. 13, no. 4-5, pp. 470-471. 3. Лавров О.В., Широлапов И.В., Пятин В.Ф. Показатели естественной цитотоксичности при остром психоэмоциональном стрессе // Аллергология и иммунология. – 2011. – Т. 12, № 4. – С. 338-341. Lavrov O.V., Shirolapov I.V., Pyatin V.F. Pokazateli estestvennoy tsitotoksichnosti pri ostrom psikhoemotsional`nom stresse [Natural cytotoxicity indicators in acute psychoemotional stress]. Allergologiya I immunologiya – Allergology and Immunology, 2011, vol. 12, no. 4, pp. 338-341. 4. Лавров О.В., Широлапов И.В., Пятин В.Ф. Стресс-индуцированные гормональные реакции у студентов // Вестник новых медицинских технологий. – 2012. – Т. XIX, № 4. – С. 110-112. Lavrov O.V., Shirolapov I.V., Pyatin V.F. Stress-indutsirovannye gormonal`nye reaktsii u studentov [Hormonal responses in terms of exam stress in high school students]. 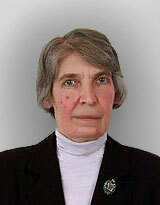 Vestnik novykh meditsinskikh tekhnologiy – Bulletin of new medical technologies, 2012, vol. XIX, no. 4, pp. 110-112. 5. Широлапов И.В., Пятин В.Ф., Лавров О.В. Особенности иммунологических показателей в условиях экзаменационного стресса // Медицинская иммунология. – 2012. – Т. 14, № 1-2. – С. 133-138. Shirolapov I.V., Pyatin V.F., Lavrov O.V. Osobennosti immunologicheskikh pokazateley v usloviyakh ekzamenatsionnogo stressa [Features of immune reactions in stress conditions associated associated with exams]. Meditsinskaya immunologiya – Medical Immunology, 2012, vol. 14, no. 1-2, pp. 133-138. 6. Anisman H. Stress, immunity, cytokines and depression. Acta Neuropsychiatrica, 2002, vol. 14, pp. 251-261. 7. Atanackovic D., Schnee B., Schuch G. Acute psychological stress alerts the adaptive immune response: stress-induced mobilization of effector T cells. J. Neuroimmunol., 2006, vol. 176, pp. 141-152. 8. Besedovsky H.O., Rey A.D. Physiology of psychoneuroimmunology: a personal view. Brain. Behav. Immun., 2007, vol. 21, pp. 34-44. 9. Cohen S., Hamrick N., Rodriguez M.S., Feldman P., Rabin B., Manuck S. The stability of and intercorrelations among cardiovascular, immune, endocrine, and psychological reactivity. Ann. Behav. Med., 2000, vol. 22, no. 3, pp. 171-179. 10. Dahlin M., Joneborg N., Runeson B. Stress and depression among medical students: a cross-sectional study. Med. Educ., 2005, vol. 39, no. 6, pp. 594-604. 11. Habib K.E. Gold P.W., Chrousos G.P. Neuroendocrinology of stress. Endocrinol. Metab., 2001, vol. 30, no. 3, pp. 695-728. 12. Isowa T., Ohira H., Murashima S. Immune, endocrine and cardiovascular responses to controllable and uncontrollable acute stress. Biol. Psychol., 2006, vol. 71, pp. 202-213. 13. McEwen B.S. Physiology and Neurobiology of Stress and Adaptation: Central Role of the Brain. Physiol. Rev., 2007, vol. 87, pp. 873-904. 14. Miyake S. Mind over cytokines: Crosstalk and regulation between the neuroendocrine and immune systems. Clin. Exp. Neuroimmunol., 2012, vol. 3, pp. 1-15.